If you suffer from nearsightedness, farsightedness or astigmatism, you likely have a refractive eye error that causes light that passes through your cornea to bend, or refract, improperly, resulting in your vision problem. 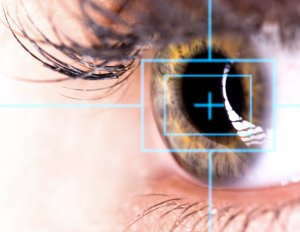 Fortunately, you might be an appropriate candidate for refractive surgery to improve or correct your vision. Nearsightedness (myopia). For those with myopia, close objects look clear, but distant objects are blurry. Farsightedness (hyperopia). For patients with hyperopia, distant objects look sufficiently clear, but close objects are blurry. Astigmatism. With astigmatism, the cornea or lens is not smooth or evenly curved, so the eyes do not focus properly. Presbyopia. This is an age-related eye condition that makes it harder to see images or objects up close.